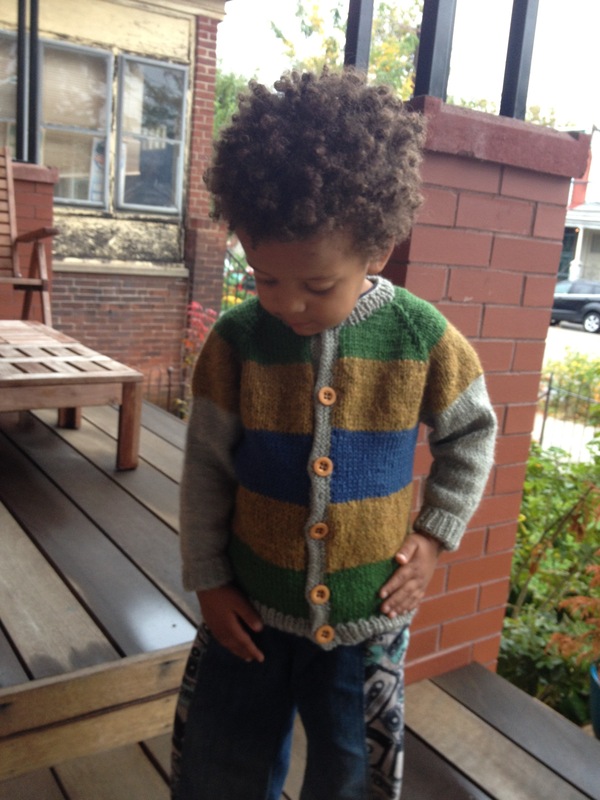 I made a cardigan made for my boy using scraps from other knitting projects. I did end up buying the grey for the sleeves, etc. 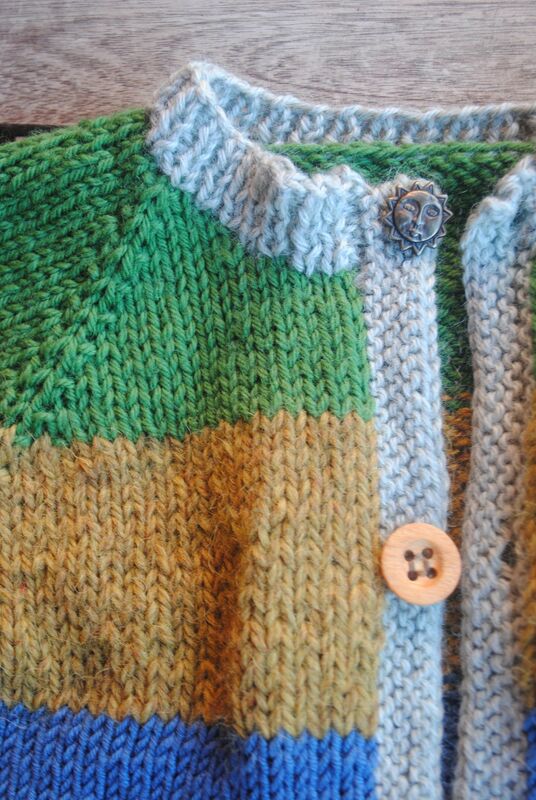 I was going to make the whole thing stripes, but I the color combination was looking kind of dreary. I love how it turned out. 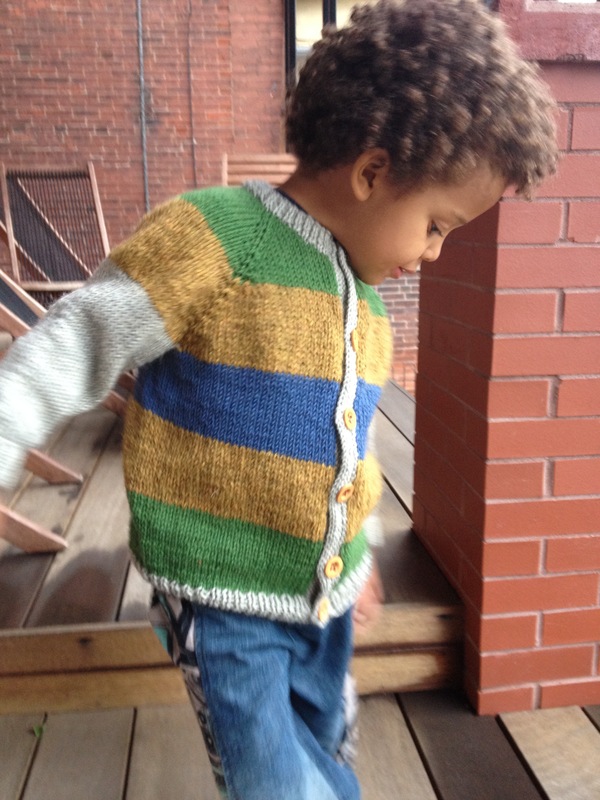 The pattern is by Diane Soucy. All the details can be found on Ravelry. The pattern is not fitted at all. It’s good to have plenty of room for layering underneath. But, it might be too bulky to wear under a fitted coat. S didn’t like the wooden buttons at first, so we compromised. The top button is a bronze (?) sun.